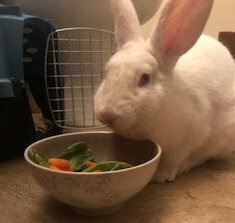 UPDATE: RABBIT HAS BEEN RE-HOMED. Found on Sunday September 23, 2018 at Station St., Quincy, MA. A very friendly rabbit approached me last night. Definitely a pet.